Hey lovelies, wishing for a tighter firmer neck this holiday season? Well Santa, I mean Strivectin is here to help make your wish come true! 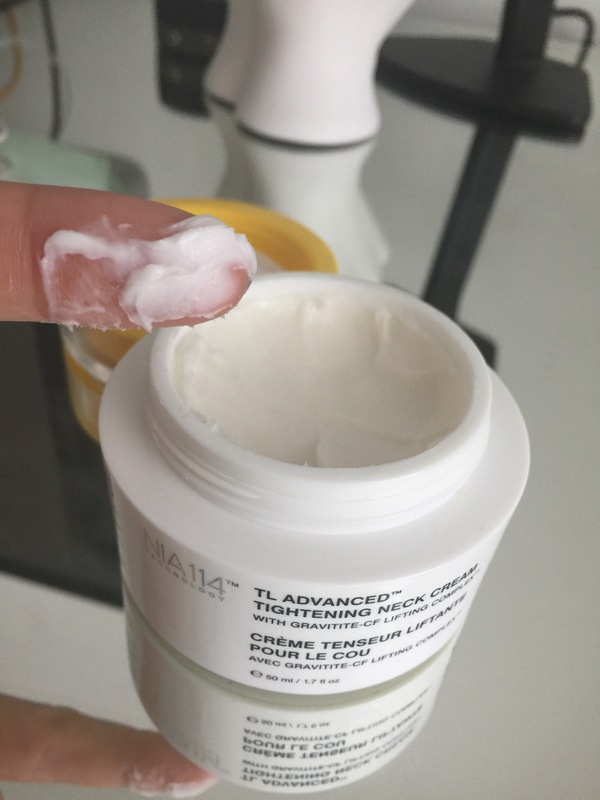 I recently got to try out Strivectin’s fabulous new TL Advanced Tightening Neck Cream and have been nothing short of amazed! This rich, fabulous cream designed specifically for the neck, is designed to lift and firm loose areas of the skin, giving you a more youthful appearance. You will see immediately results with this cream as well as long-term results, thanks to the incredible technology used in this neck cream that improves skin elasticity, leaves skin feeling tighter, firmer, and less like gravity has taken its toll on it! Immediately after use, I noticed much smoother, softer, supple skin. With time, benefits such as tighter, more refined, toned, less-sagging, skin will be much more noticeable too. You can use this cream on your décolletage for a more youthful looking chest too! I’ve actually used it on the back of my hands as well to keep them looking tight and toned as well! The skin is super thick, creamy and luxurious feeling, yet isn’t heavy and won’t weigh down the skin, even if you have oily skin. I noticed an intense hydration right away when using it on my super dry winter skin, yet it is lightweight enough my skin soaked it up immediately. No residue left on my skin, or pillow! In a recent clinical study, over 96% of users saw a firmer looking neck and jawline! Wow, pretty incredible results from using this cream right?! Not only that, but 96% noticed tighter skin, 88% saw a more refined jawline and neck, and 92% saw a tighter, more sculpted looking neck and jawline. I guess it’s no surprise after hearing that when I tell you Strivectin’s Advanced neck tightening cream is indeed the #1 selling neck cream! Don’t neglect your jawline, décolletage, and neck any longer, start firming and tightening up your skin right away with Strivectin’s Advanced Neck Tightening Cream! Want to learn more about Strivectin’s powerful neck tightening cream, or pick some up for yourself? Be sure to visit them at Strivectin.com. Use twice a day in the AM and the PM for max results! 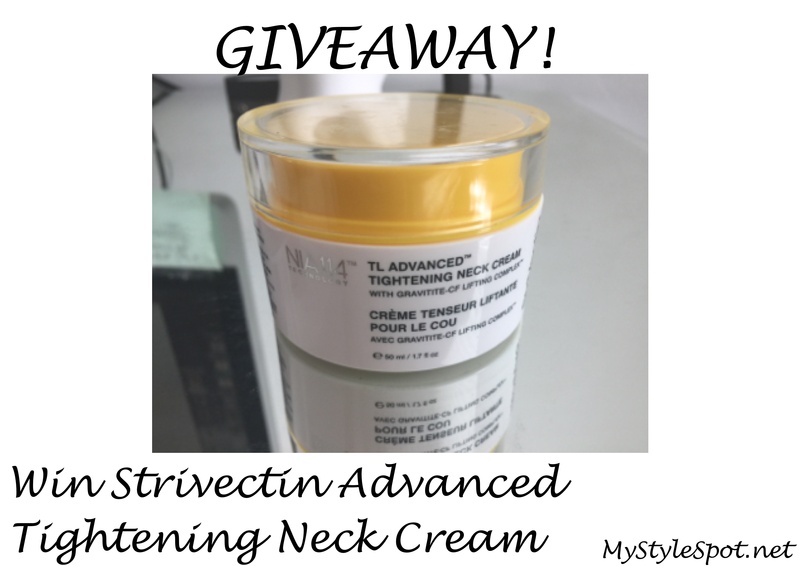 Also, right now, I’m giving you the chance to WIN Strivectin’s powerful neck cream to try out for yourself! *I was given this product for the purpose of review. However, all thoughts and options expressed in this post are solely my own. I only share reviews with my readers, I feel will be beneficial or informative in some way.